3. I Like My Music Loud! Bob Kulick is an American guitarist and Grammy Award-winning record producer, best known for his studio work with Kiss. He was born in Brooklyn, New York, and is the older brother of former Kiss lead guitarist Bruce Kulick, whom he suggested Kiss hire. 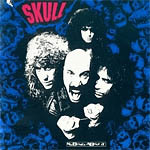 Bob was involved with a project called Skull, releasing one album, No Bones About It, in 1991.